Adding Isagenix products to your nightly routine has become more popular than ever. With so many choices to consider, focusing on your goals can help you select the right mix of Isagenix products to add to your evening schedule. Isagenix products can help you get a nutritional boost before bed to support your goals, whether you’re focused on health, weight loss, or performance. 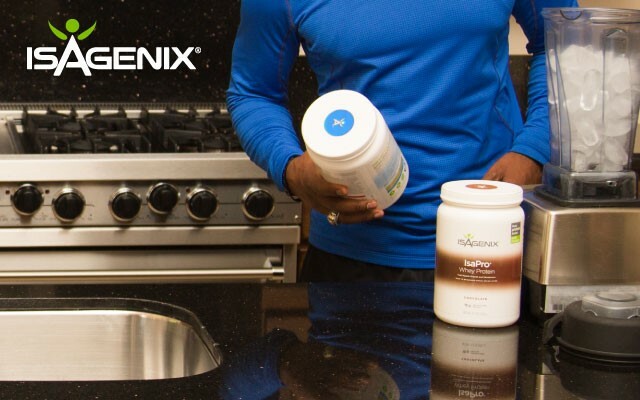 Here are three popular ways you can choose to add Isagenix products into your nightly routine. For those who don’t routinely complete Cleanse Days, nightly cleansing can be an ideal way to incorporate the benefits of drinking Cleanse for Life® into your routine. Nightly cleansing involves consuming a two-ounce (or one level scoop) serving of Cleanse for Life each night before bed. While you can receive benefits from drinking Cleanse for Life at any time of day, there are many who prefer having the product in the evening hours. The idea behind nightly cleansing stems from the benefits of using Cleanse for Life during Cleanse Days. When you are fasting on a Cleanse Day, Cleanse for Life helps to nourish your body and its intrinsic detoxification system with antioxidant-rich botanical ingredients. Since the body naturally experiences a “mini-fast” overnight as you sleep, those who add nightly cleansing to their bedtime routine aim to maximize antioxidant benefits for overall health. The Bedtime Belly Buster, or BBB for short, is one of the most popular nightly routines among those who are looking to release extra inches around the midsection. The BBB involves enjoying a serving of IsaPro® blended with Isagenix Fruits™ or Isagenix Greens™ along with Sleep Support & Renewal™ spray at bedtime. Complementary products such as Complete Essentials™ Daily Pack or Ionix Supreme® can be taken along with the BBB for an added nutritional boost before bed. The core components of the BBB are intended to provide extra support for your weight loss efforts through nutrition and restful sleep. IsaPro contains high-quality protein from whey, which has been shown to offer benefits for metabolism and energy expenditure (1, 2). Consuming a serving of whey protein before bed also helps to support better recovery from exercise and may have benefits for improving sleep quality (3, 4). Scientific research has identified a significant link between inadequate sleep and weight gain (5). Making adequate sleep a priority is an important step in reaching your weight loss goals that many people overlook. Sleep Support & Renewal contributes by helping to support a restful, complete night’s sleep with natural ingredients including melatonin and chamomile flower extract. Protein pacing is a nutritional strategy that involves fueling the body with high-quality protein spaced evenly across four to six meals during the day. Enjoying an IsaLean® Bar before bed has become the preferred choice among many athletes because of the findings from several recently published scientific studies in the area of performance nutrition. 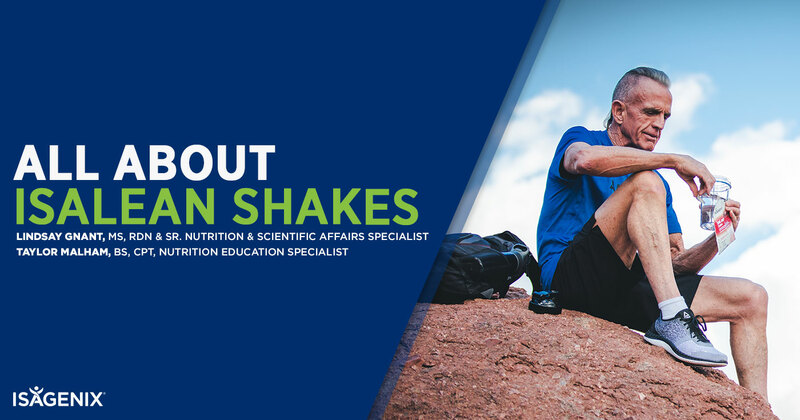 These studies, led by Dr. Paul Arciero at Skidmore College, compared the effects of protein pacing among athletes who either used Isagenix products or consumed ordinary foods (6, 7). As part of the study protocol, both groups consumed a protein-containing snack before bed, which was an IsaLean Bar for the group using Isagenix products. Even though both groups completed the same structured athletic training program and followed similar nutrition plans that only differed in the source and amount of protein they consumed, the group using Isagenix products experienced significantly greater gains in performance. In light of the greater performance gains seen in these studies, many athletes and other performance-focused individuals have implemented the same protein pacing strategy used in these research studies, including enjoying an IsaLean Bar at night. Some of the most popular ways to add Isagenix products into your nightly routine include nightly cleansing, the Bedtime Belly Buster, and protein pacing with an IsaLean Bar. Whether your goal is health, weight loss, or performance, you can take advantage of the benefits of Isagenix products with a nightly routine that works for you. Madzima TA, Panton LB, Fretti SK, Kinsey AW, Ormsbee MJ. Night-time consumption of protein or carbohydrate results in increased morning resting energy expenditure in active college-aged men. Br J Nutr. 2014;111:71-7. Kinsey AW, Eddy WR, Madzima TA et al. Influence of night-time protein and carbohydrate intake on appetite and cardiometabolic risk in sedentary overweight and obese women. British Journal of Nutrition 2014;112:320-7. Trommelen J, van Loon JC. Pre-Sleep Protein Ingestion to Improve the Skeletal Muscle Adaptive Response to Exercise Training. Nutrients 2016, 8(12), 763. Zhou J, Kim JE, Armstrong CL, Chen N & Campbell WW. Higher-protein diets improve indexes of sleep in energy-restricted overweight and obese adults: results from 2 randomized controlled trials. Am J Clin Nutr. 2016 Feb 10.